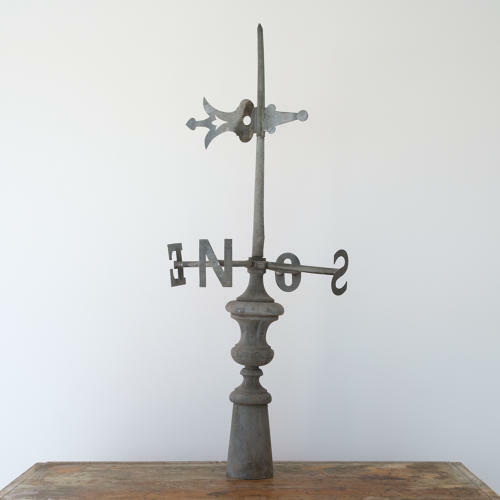 A charming antique weathervane finial with lovely time worn zinc patina. A handsome decorative object with some historical wear and small repairs in keeping with its age and use. French circa 1900.